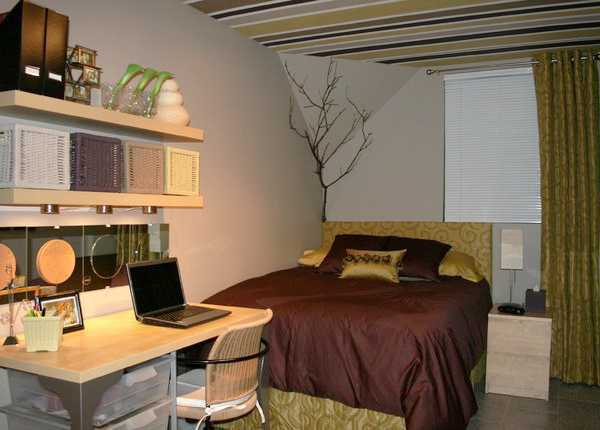 Stripes give ceiling designs modern and youthful look. Bright stripes fill the room with energy, bringing stylish colors and attractive contrasts into interior design, creating a playful mood and emphasizing room decorating color scheme. Kids rooms, teenage bedrooms and game rooms look stylish and unique with striped ceiling designs. Stripes are an excellent decorating ideas for high ceiling, that visually change rooms proportions and creates more balanced interior design. Stripes look great on attic ceiling designs, Used on a smaller part of the ceiling, contrasting stripes dramatically transform traditional rooms and make them look gorgeous and bright. Stretch ceiling film and painting ideas, modern wallpaper and structural elements, highlighted with a different color, are interior design ideas that celebrate stripes on the ceilings. Stripes on a small part of the ceiling look unusual and very creative. 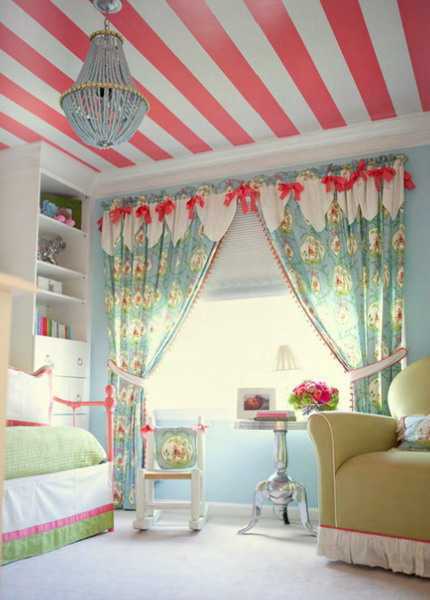 Stripes on inclined ceiling make kids room decorating look vivid and interesting. Stripes, created with architectural elements, like pipes and ceiling beams, give the interior a retro feel and unique flavor. Ceiling designs with different width of stripes look impressive. 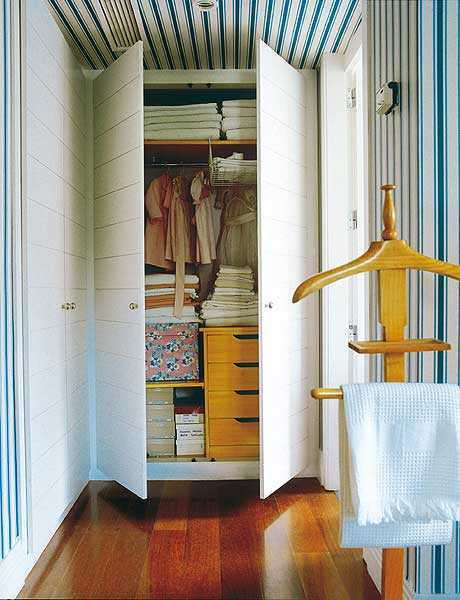 Stripes colors can be monochromatic or contrasting, all depends on an effect you want to achieve. Kids room decorating allows to experiment with bold colors and creative ceiling designs. Ceiling designs with stripes one of main room decorating colors harmoniously match children bedroom decor. Ceiling designs with stripes are excellent for young kids room decorating. 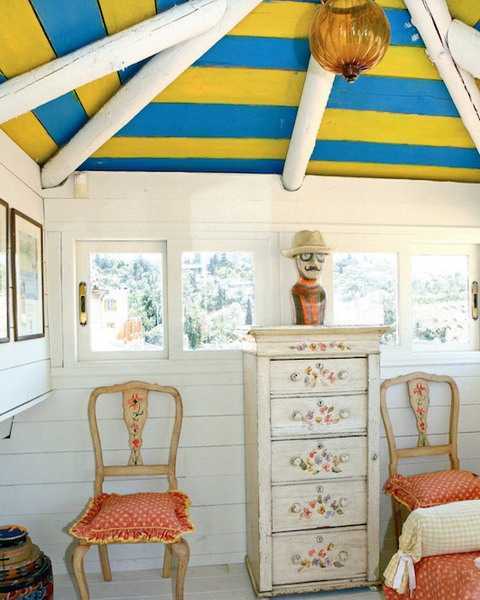 Stripes bring the ceiling lower, making small kids feel cozy in their bedrooms. Teen bedroom decor looks especially attractive with ceiling stripes in darker shades of pale, earthy, soft or neutral colors. Stripes that vary in length and width give an artistic touch to modern interior design for young people.